Here is some grain sorghum coming up on a field south of town. We have planted a good bit of milo so far in Thomas County. With the presence of sugarcane aphids in 2014, this is an ongoing concern for us and I’ve had lots of questions about management. 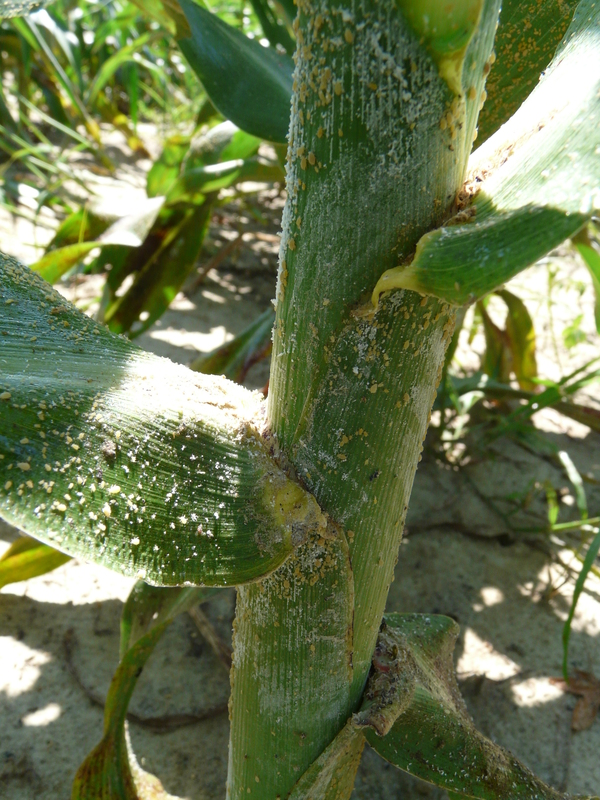 Below is a photo of white sugarcane aphids on a sorghum leaf last year. You can see the white cast skins in addition to yellow aphids on the stalk. 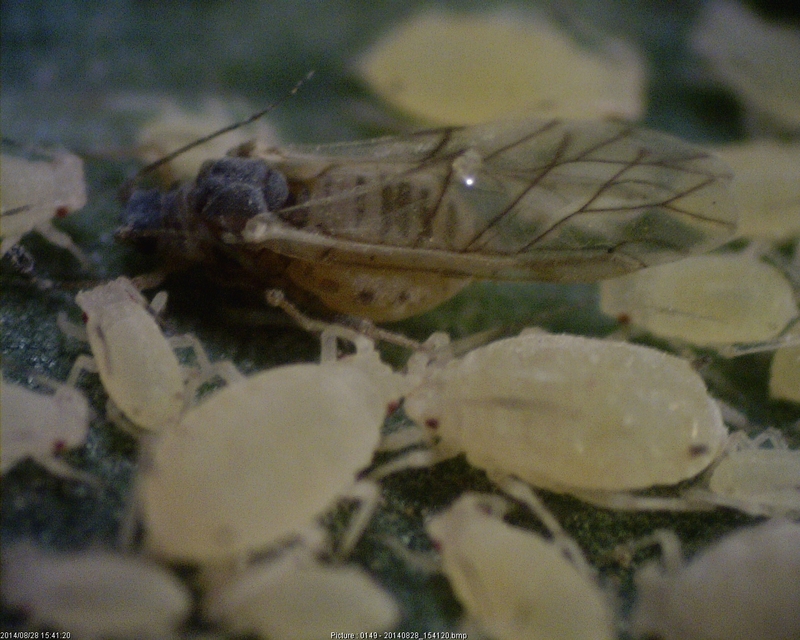 Below is a close up photo of the sugarcane aphid (SCA) under a dissecting scope. The wingless forms are a uniform pale cream to yellow with black feet and black cornicles. (Cornicles are the small tubes present on the end of the abdomen). 1) Plant early – Although the aphid was not in Georgia at planting time last year, experience in the Delta region found that aphids did not usually infest sorghum until later in the season and early planting may avoid very large infestations. In other words, late double-crop plantings are at greater risk of severe infestations. 2) Use an insecticide seed treatment – Trials in the Delta region last year found that insecticide seed treatment would limit seedling infestations for 30 – 40 days after planting. All registered neonicotinoid insecticides are effective including thiamethoxam (Cruiser), clothianidin (NIpsIt Inside, Poncho) and imidacloprid (Gaucho others). 3) Scout early and often – Fields can quickly be inspected for the presence of aphids by looking are on the underside of leaves. Once aphids are detected, scout at least once, preferably 2 times per week, because aphid numbers build very quickly. Shinny lower leaves with honeydew are a clear sign of infestation. 4) Beneficial insects usually do not control infestations – SCA and their honeydew attract large number of beneficial insect predators such as lady beetles, syrphid fly larvae and lacewings. No aphid parasites were observed in Georgia last year but a parasitic wasp is present in TX and LA and could move eastward. No aphid fungal disease has been observed either. Generally the rapid rate of increase in aphid populations overwhelms the beneficial insects and severe plant damage usually occurs. 5) Treat when aphids reach threshold levels – Several threshold levels are being used in the Delta region for 2015. One conservative threshold is 25% infested leaves with 50+ aphids per leaf at whorl from preboot stage through dough stage. In MS, the threshold at pre-boot and boot stages is 20% infested plants with large aphid colonies (100+) and localized areas of heavy honeydew present. From bloom through dough stage the threshold is 30% infested plants. I think either of these sets of thresholds will prevent serious yield losses and would suggest using whichever threshold is easiest for you to use. Once threshold is reach do not delay application because infestations can very quickly go from the threshold level to 100% infested plants and hundreds of aphids per leaf. Transform WG (Dow AgroSciences) – Transform WG is not fully registered yet, but Georgia, Alabama and several other states haves a section 18 emergency exception approved for 2015 until Nov. 20, 2015. In my insecticide trails last season, rates of 1.0 and 1.5 oz per acre were effective. Use the 1.5 oz rate if aphid populations are increasing rapidly. The label allows for 2 applications per season and not more than 3 oz per acre per crop and has a 14 day PHI. Sivanto (Bayer Crop Protection) – Sivanto has a full section 3 label and a supplemental 2ee label for lower rates on sorghum and other grain crops. The 2ee rates are 4 – 7 fl. oz per acre. Sivanto was very effective in my trials at rates of 3, 5, and 7 fl. oz. per acre, so the 4 fl. oz. rate should be effective. At the 4 oz rate it can be applied up to 7 times during the season but has a 21 day PHI. Chlopyrifos (Lorsban Advanced, Nufos, other) – Lorsban is labeled at 1 to 2 pints per acre. The 2 pint rate has a 60 day harvest interval and 1 pint a 30 day harvest interval. The 2 pint rate was 80-90% effective in my trial last year but could not be used after the boot stage due the 60 day PHI. The 1 pint rate was variable and only partly effective. DO NOT USE CHLORPYRIFOS ON SWEET SORGHUM. Dimethoate ( Dimethoate, Cygon) – Is labeled up to 1 pint per acre with a 28 day PHI. 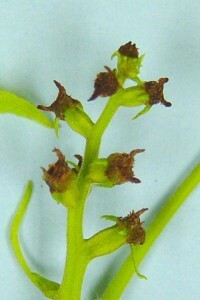 Most dimethoate products cannot be used after head emergence. Dimethoate was variable in my trials and not recommended without further testing. 7) Good coverage is key to effective control – Use tips and GPA for maximum coverage especially lower in the canopy. A minimum of 10 gpa by ground and 5 gpa by air is highly recommended. 8) Avoid pyrethroid insecticides for other sorghum pests – For sorghum midge try to avoid routine pyrethroid sprays for sorghum midge. Instead scout and treat at 1 adult per panicle. Chlorpyrifos (1 pint per are) for low to moderate infestations. Early plantings often avoid serious midge infestations. For fall armyworm in the whorl, the threshold is 50% infested whorls. Use Belt, Prevathon or Lannate which are specific to caterpillars. For headworms, corn earworms fall armyworm, sorghum webworm, the threshold is 1 worm per head and use Belt, Prevathon, Beseige or Lannate. 9) Check fields 2-3 weeks before harvest for infestations – A treatment may be needed if large numbers are in the head to prevent damage to combines. Hybrids with taller stalks and more space between the grain and upper leaves may make harvest easier by reducing the amount of leaf material going through the combine. Large infestation producing large amounts of honeydew and sooty mold may interfere with harvest desiccants. Transform WG can be applied up to 14 days before harvest. Summary – Most likely SCA will infest sorghum statewide in Georgia and occur much earlier than in 2014. SCA will be difficult to manage cost effectively. 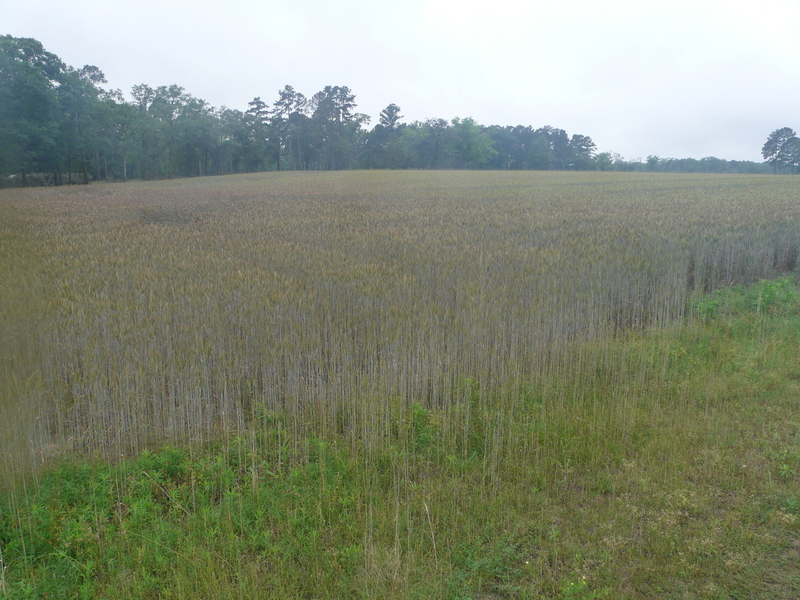 Planning and scouting will be keys to successfully managing this new invasive pest and prevent serious losses to sorghum in Georgia in 2015. Due to excessive rainfall during the growing season and in some cases excessive plant growth and height, it becomes difficult and sometimes impossible to enter a field to apply the proper chemicals and/or fertilizers. In this case the addition of an injection pump for chemigation and fertigation can be very advantageous. A center pivot can typically walk around the field when the moisture level is much higher than can a ground based sprayer. 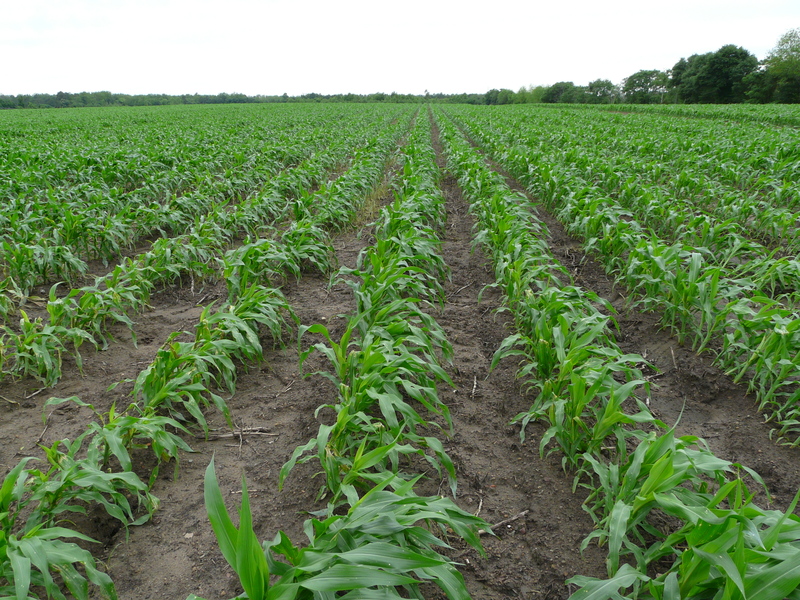 Thus, one main advantage is the ability to apply nutrients at critical periods of crop demand. 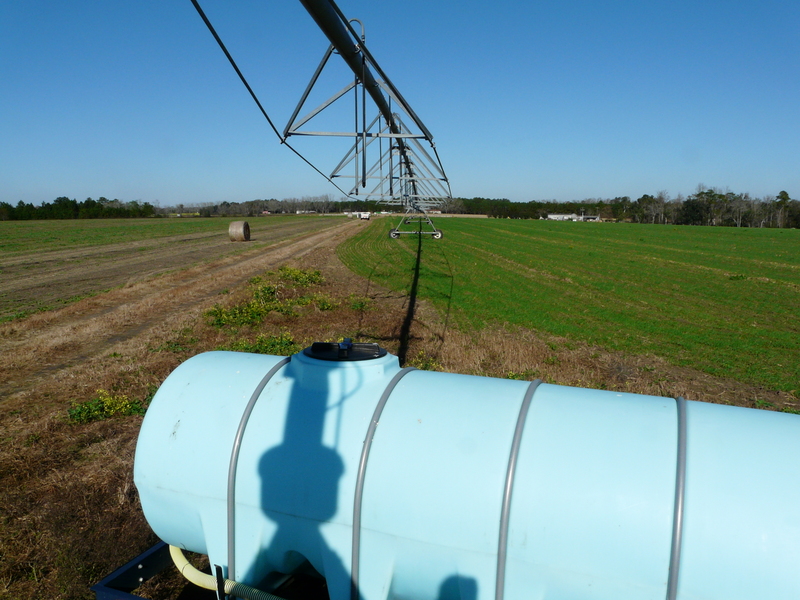 One of the most daunting tasks in using a center pivot for chemigation or fertigation is calculating the injection rate of the fertilizer or chemical. Fertigation of Row Crops Using Overhead Irrigation has information about specifics on fertigation of row-crops. Let’s assume that you want to apply 30 lbs N/ac of UAN-32 through a 1,500 ft long center pivot at a rate of 0.3 inches in 12 hours (one complete circle). 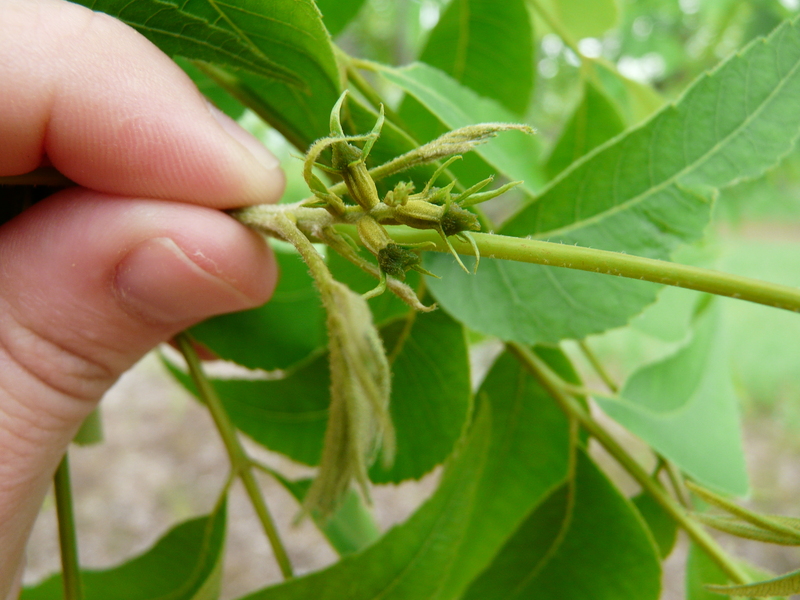 The occurrence of last week’s rainfall during the pecan flower bloom has many growers concerned that the weather had a negative effect on pecan pollination. While cool, rainy conditions are certainly poor conditions for pecan pollination, I think we are still in pretty good shape. Most of the female flowers I was seeing last week where not yet receptive, and the catkins or male flowers of some type I varieties were just beginning to mature and release some pollen. This week’s weather is much more conducive to pollination, and it looks as though the female flowers of many varieties are receptive this week as the pollen begins to fly. 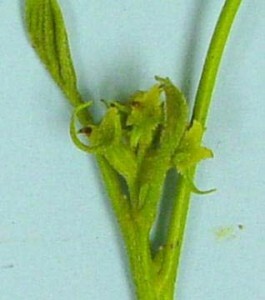 Female flowers are usually receptive for 5-12 days. When humidity is low and winds are warm, the stigma has a tendency to dry out early, limiting receptivity. High humidity in the form of rain or fog may limit pollen shed. The appearance of catkins can tell you when they have developed beyond maturity. As the catkins mature, they begin to take on a brownish tinge. 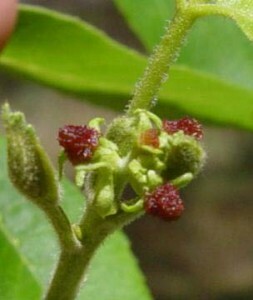 When the first hint of brown begins to become noticeable, some of the pollen is nearing maturity and beginning to shed. This tinge will darken as the catkins continue to mature. Pollen maturity can be easily tested by shaking a few catkins in your hand. If the pollen is mature, the yellow pollen grains will shake out into your hand. 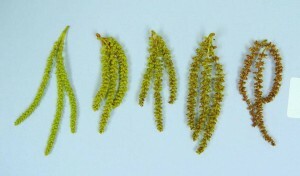 After the catkin has completed maturity and released its pollen it will turn dark brown and dry. In the Southern half of our state’s pecan belt, this is a big week for pollination of many varieties. As you go north, female flowers and catkins are getting close as well. We have a long way to go with this season, but our crop potential looks pretty good at this point if we continue with good weather conditions over the next couple of weeks and we can win the battle with pecan scab over the course of the season. All photo credits to Dr. Patrick Conner. I looked at corn yesterday setting in the V8 growth stage. Thankfully, we had a small dry period in the early week to get out our post emergent herbicides in this field. Weed control here is good. But the rain and wind have left corn lodging. You can see it throughout the whole field. In very few spots, plants are laying completely on the ground. 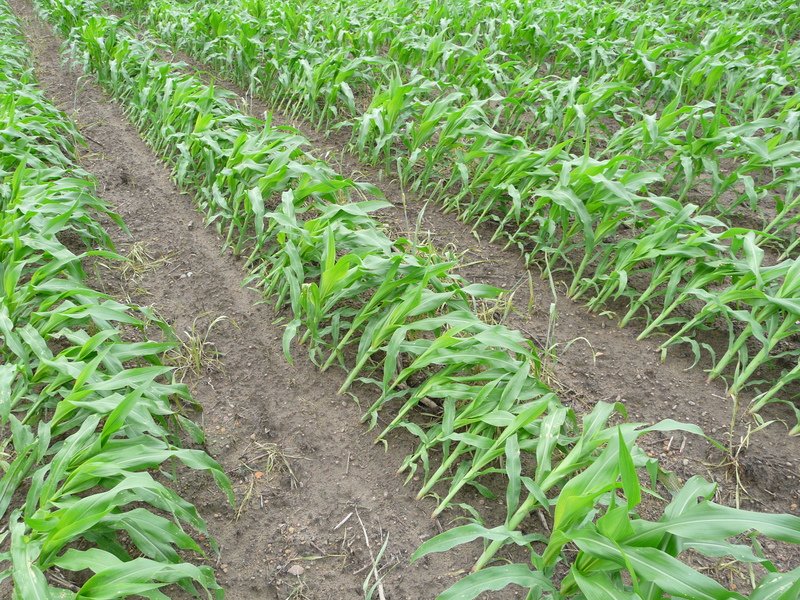 Saturated soils have slowed the development of nodal roots because of less oxygen in the soil. 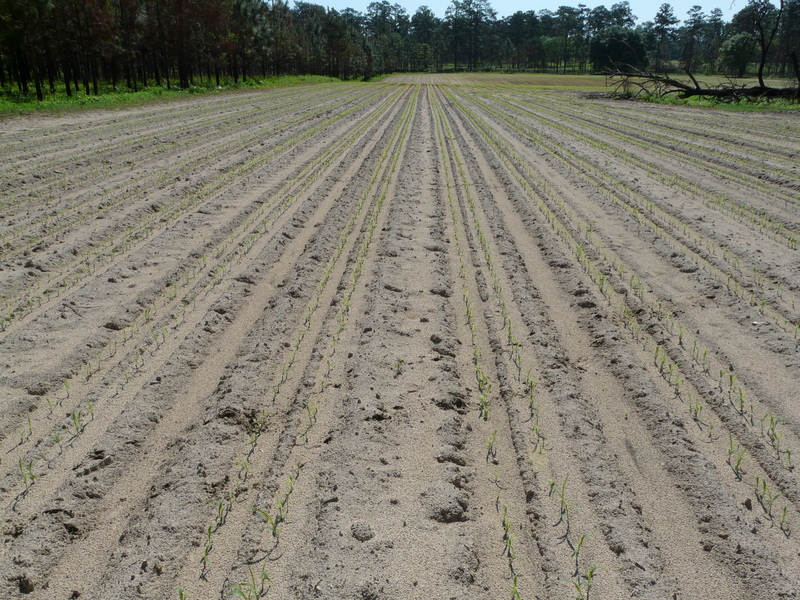 UGA Extension Corn Agronomist Dr. Dewey Lee says while corn doesn’t like to live in saturated soils, it generally can handle it in the coastal plains soils of south Georgia as those soils typically drain well…. “Most of the time, corn will begin to straighten up in a few days (if the rain stops) or at least ‘gooseneck’ a little as it begins to straighten. What current conditions have done is to prevent any field work until the corn plants clear the middles so a tractor can travel the area without running over stalks. Given any sunshine over the next few days, the crop will begin to straighten as the stalks continue to lengthen and soils dry. Hopefully field work such as herbicide or nitrogen applications will resume and ease the pain of the last several days. All wheat in Thomas County is heading and most if not all has been sprayed with fungicide. We want to protect the head and the flag leaf for disease, especially rust. Our wheat is in the Feekes 11.0 growth stage where the kernel is ripening. The grain fill period can last from 30 – 50 days depending on stress of environment. A low stress and high yield environment, it will take closer to 50 days. 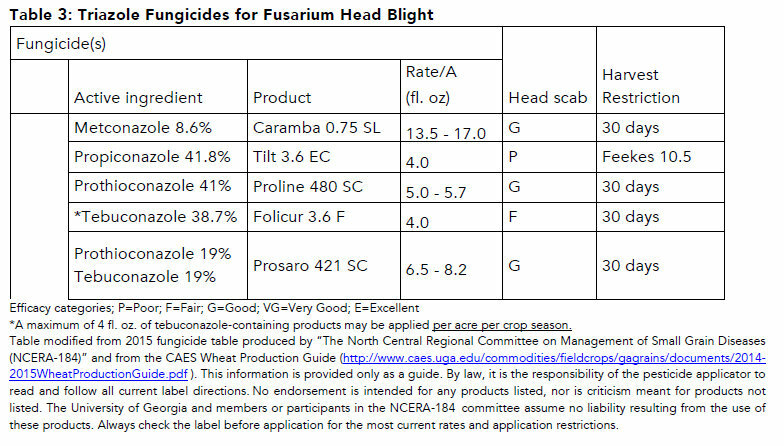 Last year was a bad year for Fusarium Head Blight. 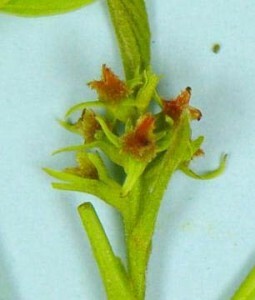 It infects during the flower stage, and we had wet conditions during that time last year. 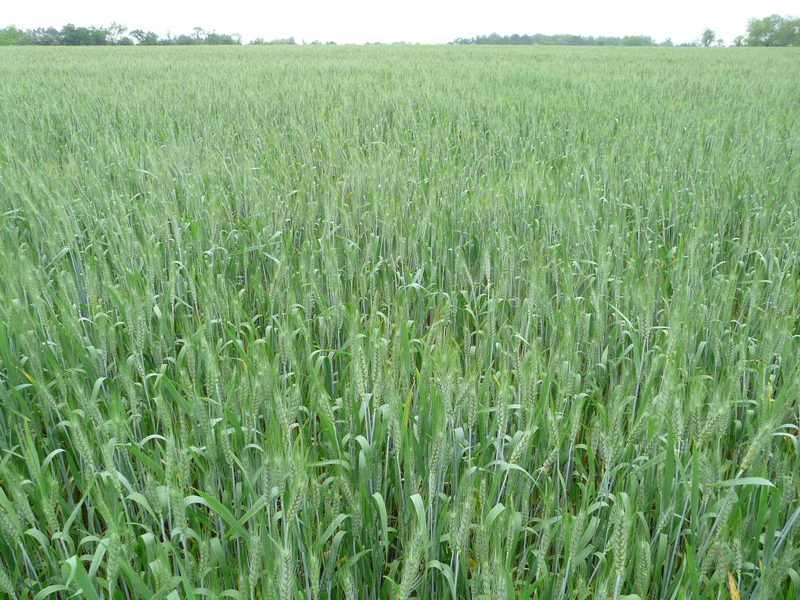 Wheat flowers 4 – 5 days after heading and lasts a few days. We are past flower stage now so possibility of head blight may only be for later planted or later blooming wheat. 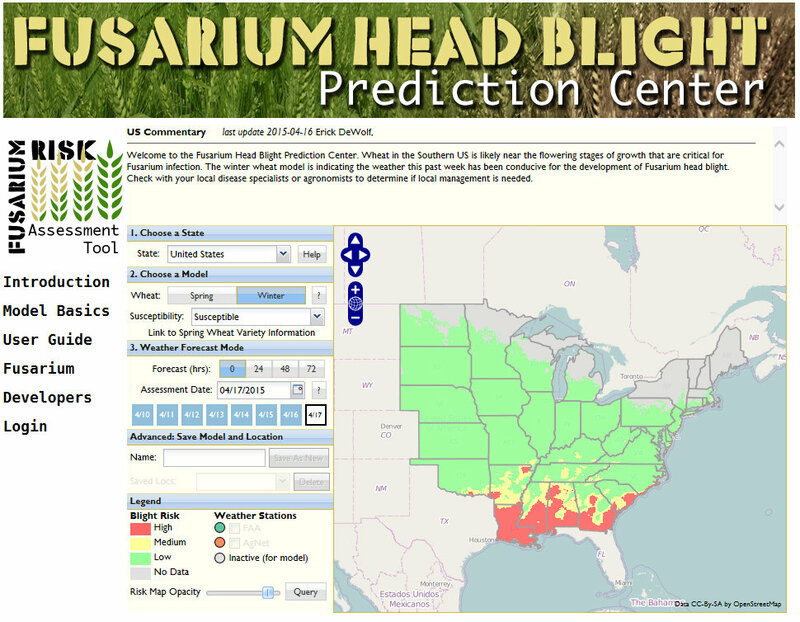 However, we are having the weather conditions that favor it, which you can see at the Fusarium Head Blight Prediction Center. Lesions (spots) are initially water-soaked and then become dry, yellow, and finally brown. Lesions are generally oblong, sometimes containing small black spore producing structures called pycnidia. The lesions are often surrounded by a yellow halo. Lower leaves are generally more heavily infected, with lesions joining together to cause entire leaves to turn brown and die. If pycnidia are present on lower leaves when the uppermost leaf and the head begin to emerge, infective spores will move to the top of the plant in splashing rain even after a brief shower. Symptoms may not appear for 10-15 days on the top leaves or glumes on the head. 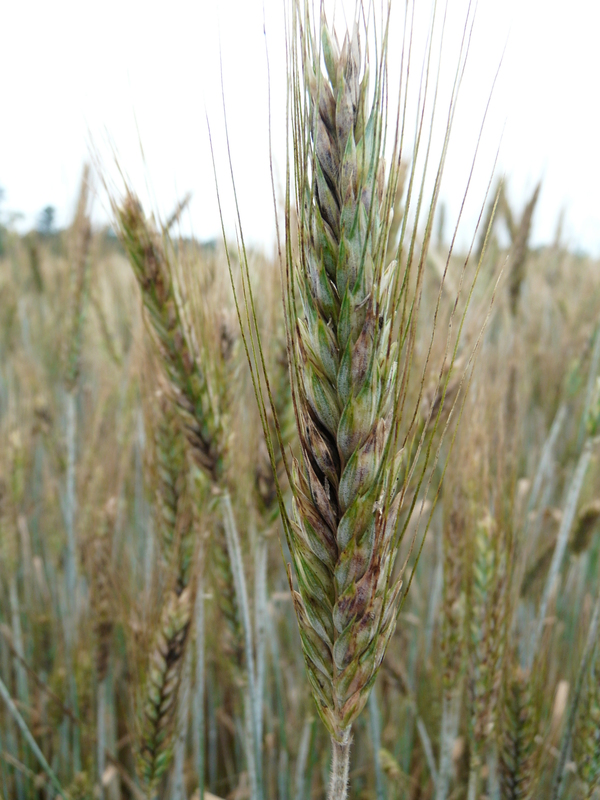 By the time lesions are seen on the head, it is too late for effective fungicide use. Therefore, it is important to examine the lower leaves for lesions when making decisions about fungicide application, not just the top leaves. 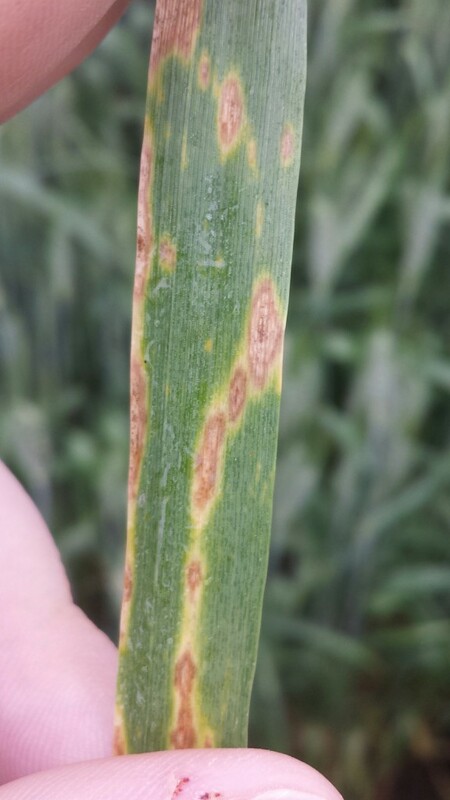 Lesions are first tan or brown on the upper portion of the glume while the lower part remains green. 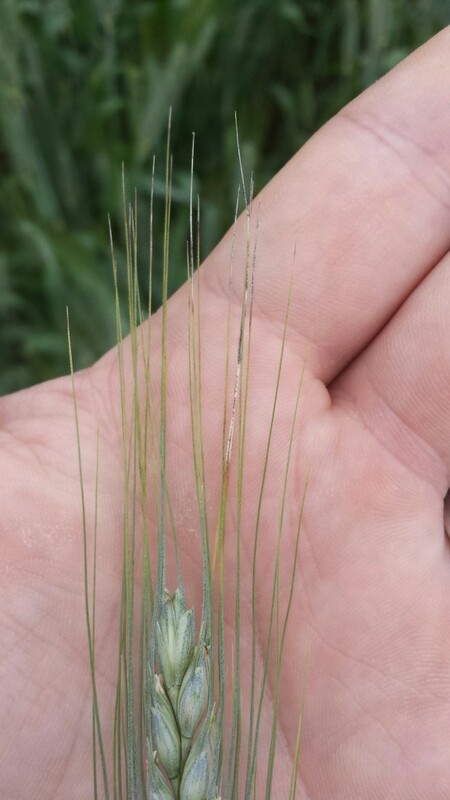 As the head matures, it becomes purplish to black in appearance from glume blotch. Leaf and glume blotch can reduce yield as much as 20% and reduce test weight due to grain shriveling even when disease severity is low. “I received official word from the Georgia Department of Ag that the EPA has denied our request to use Counter 20G on cotton. (It is still legal on field corn.) The reason given basically says that use on cotton would exceed the appropriate amount for the ‘risk cup’ for terbufos (active ingredient) in the state. So, I am disappointed with this decision but I truly appreciate the efforts of Commissioner Gary Black, the Georgia Department of Agriculture, Mr. Richey Seaton and the Georgia Cotton Commission, Cotton, Inc., and also AMVAC for their efforts to provide cotton growers in Georgia with a tool to manage nematodes.